Need some help or assistance? What will the lead time on my order be? We make all of our furniture to order so we start work as soon as we have a confirmation from you. Usually, this means orders for task chairs can be turned around in 2 weeks. 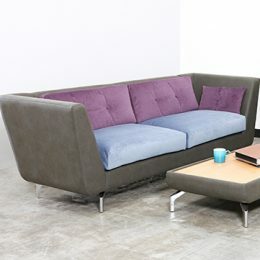 For soft seating, our lead time is 2-3 weeks. In peak times and for exceptionally large orders, we’ll need to talk. The prices in our Price Guide and in the Dealer Area of the website include delivery to our nationwide dealer network on orders over £250 (net ex VAT). Orders under £250 (net ex VAT) will be charged £20 delivery. If you would like an order delivered direct to your client, there will be a delivery charge depending on the size of the load and delivery location. Talk to the Customer Services Team and we can work out the most cost effective way to achieve that. Can you help with a quote? Of course. It’s easy to put quotes together on the website. If you are logged on, just click on the product you are interested in, chose the fabric and optional extras you need, then click ‘Add to Quote’ at the bottom of the page. If there’s more than 1 product you are looking at, repeat the process, then you can email the quote to yourself or anyone else you choose, or if you are ready to proceed, click ‘place order’, sending the order to our customer services team to process. If you aren’t logged in, you can do as above, but the prices won’t appear. Instead of ‘Place Order’ button, you’ll see ‘Place Enquiry’ which will come to the Customer Services team who will come back to you with pricing. If you’d like to talk a job through with one of our experienced team, get in touch and we’ll be happy to discuss how we can support your project. Give us a call and we can find out for you. We’re happy to put you in touch. But to make sure we connect you with the right person, give us a call. What’s the weight capacity on your chairs? 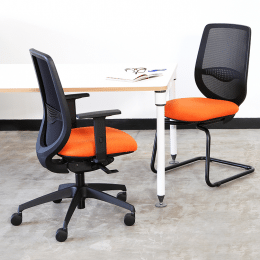 Our chairs are guaranteed for use up to 8 hours a day by users up to 150kg. The exceptions to this are listed below. 8 hours/day use with 110kg weight capacity. How much will my chair weigh? Please see our grid here. Please see a handy guide to which fabric falls under which category here. What about if I want 2 different fabrics? Please note that if a chair is specified in two or more fabrics, the pricing will be based on the higher category fabric. What if I can’t see the fabric I want? If it’s a Bradbury fabric, they’ve been fully integrated with Camira now who have discontinued much of their ranges. This has left a bit of a gap in the market, especially in Category 1. We are working with alternative suppliers to source fabrics which have quality, colourway and price-point parity. If you have a fabric in mind which is not listed, let us know! We are very happy to talk to suppliers to source other fabrics and provide you with a price based on that. What’s the difference between a platinum and a chrome frame? We powder coat platinum in house; it’s an epoxy spray finish and it’s is a more environmentally-friendly and less expensive chrome-imitation. Platinum is in effect, just another colour; relatively high gloss and like a polished aluminium base. Chrome plate is a metallic coating applied to a steel frame, it has a mirror-finish and can’t be beaten on shine. Direct Sales – can we do business? Our business model has been to work closely with a large and very loyal dealer network. If you’re interested in our products, give us a call and we can look at how we can help. Where can I find images, user instructions and other resources? These are available for each of our furniture pieces on a product level. If what you require is not available here, give us a call and we’ll see what we can do. How high do chairs stack? 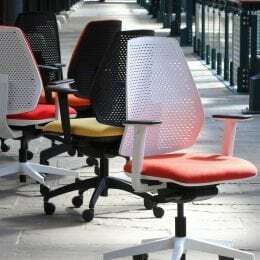 Which office furniture suppliers sell Summit products? Give us a call and we’ll put you in touch with a local dealer who’ll look after you. I have a query about a chair I've bought. What can I do? Get in touch. Let us know what model, from which range and what the issue is. It would help us if you could take a picture of the sticker on the base of the chair/furniture which says the model of the chair and when it was purchased. If there is any damage, a picture of the damaged part is also helpful to help us understand what’s happened and what solution we can offer. Can I have a sample chair? 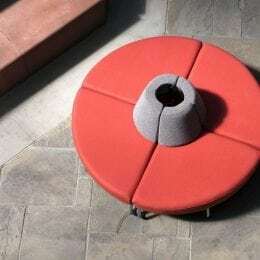 Get in touch with info on the project, details of the chair required, and how many chairs will be involved and we’ll get a sample ordered for you. You are welcome to keep and test the sample for 3 weeks. If you want to order a sample to keep in your showroom, pop that on the sample request and we can talk discounts. To give accuracy a sporting chance, we only accept written orders. There is an easy way to do it through the website by selecting the product you’d like to order, chose your fabric options then click, ‘Add to Quote’. If you’d like to order more than one type of product, go through that process again. Then, if you are logged on as a Dealer, you can click ‘Place Order’. Done. If you are not logged in, you can ‘Place Enquiry’ and that quote will come through to our Customer Service team who will call you to discuss your specific requirements. We’ll acknowledge the order as soon as possible and request you check the acknowledgement thoroughly to ensure we’ve accurately interpreted your requirements. If not, please contact us immediately, as we usually start cutting within a day of receiving an order. Alterations or cancellations beyond 24 hours of receipt of order, will incur a charge. If you’d rather send us a purchase order, or just an email, that’s perfectly fine; can you just ensure the fabric choice for each section of the chair is really clear, please? Options for each chair are listed on the website and with the chair in the guide and if any are required, please make that clear on your order too.